A small sparrow primarily found in the southwestern United States and Mexico. 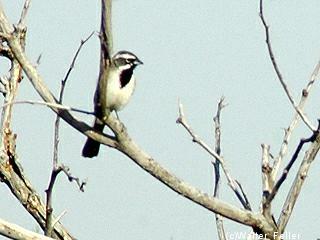 It is sometimes referred to as the Desert Sparrow, due to its preferred habitat of arid desert scrub. It feeds primarily on insects and seeds, and travels in small groups, though larger groups may accumulate around sources of water in the desert.